For each $50 spent on sharpening we will mark off a box. 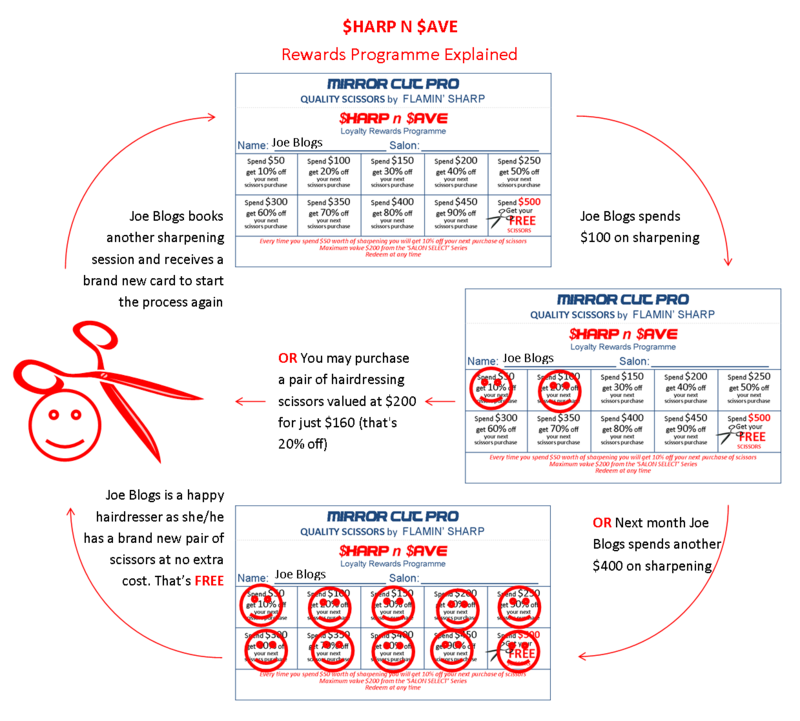 When you reach $500 worth of sharpening services you can select a pair of hairdressing scissors for free, valued up to $200 RRP. The box marked off indicates how much discount you are entitled to if you choose to purchase a pair of our hairdressing scissors at that time. Consider the following: You spend $100 in your first sharpening session and two boxes are marked off, you may then purchase a pair of hairdressing scissors valued at $200 for just $160 (that's 20% off) or you could choose to wait until your next sharpening session. If you then go on to spend a further $300 on sharpening services (totalling $500), we mark off the rest of the boxes and you can select a free pair of hairdressing scissors from our 'SALON SELECT' Series range for FREE.